On April 3rd, 1961 a colony of Leadbeater’s Possums was discovered near Cambarville, not far from Marysville, in Victoria’s Central Highland Mountain Ash eucalypt forests. Botanist Eric Wilkinson, along with two colleagues, had ventured to Cambarville convinced that pockets of LBPs could still exist even after the devastating bushfires of Black Friday 1939, 22 years prior. 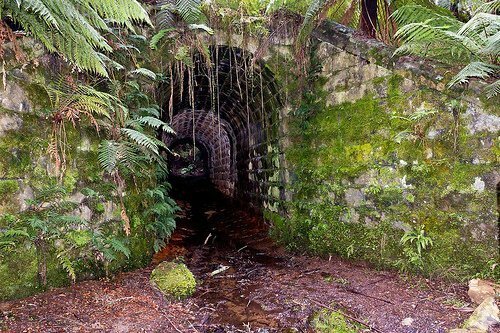 On the evening of April 3, Eric ventured not far from the main Marysville-Woods Point Road, near a place known as The Big Culvert which is only several hundred metres back from the old Cambarville logging township of the late 1800s. With a torch he looked into the surrounding large trees and vegetation and spotted a Leadbeater’s Possum which he recognised by its distinctive ‘club’ shaped tail. Extensive searches since then have found the existing population in the highlands. However, the availability of suitable habitat is critical: forest must be neither too old nor too young, with conservation efforts for Leadbeater’s Possum involving protection of remaining old growth stands of trees, and maintenance of younger stands that are allowed to attain hollow-bearing age.